The next “full-fledged” game in the Diablo series is coming to iOS and Android. Today during the BlizzCon 2018 open ceremonies Blizzard announced Diablo Immortal, an action-RPG set in a persistent MMO world, which the studio is positioning as the next major entry in the series. The game will be set between the events of Diablo II and Diablo III and promises to fill in numerous gaps in the series’ complex lore. You can watch a cinematic trailer for the game, below. The story of Diablo Immortal is set between the events of Diablo II: Lord of Destruction and Diablo II. The Worldstone lies shattered, yet great power remains within its corrupted fragments. Power that Diablo’s minions hope to harness to bring about the return of the Lord of Terror. Check out some Diablo Immortal gameplay footage, below. Play as six classes, including the Barbarian, Monk, Wizard, Crusader, Demon Hunter, and Necromancer. 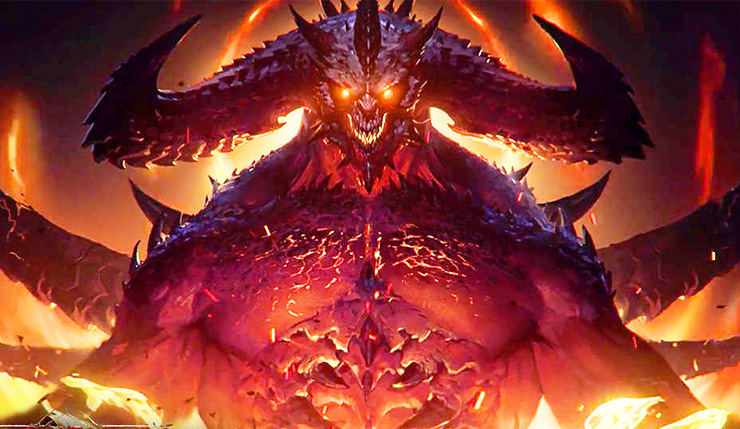 Unsurprisingly, fan response to Diablo Immortal has been…just a bit harsh. As of the writing of this article, the game’s cinematic launch trailer has 2k likes and 54k dislikes on YouTube. Ouch. That said, the game doesn’t look bad, and, as much as some don’t want to admit it, Diablo is well-suited to mobile gaming. Would I have preferred a Diablo IV announcment? Yes, but I won’t dismiss Diablo Immortal out of hand. Diablo Immortal is “coming soon” to iOS and Android devices.